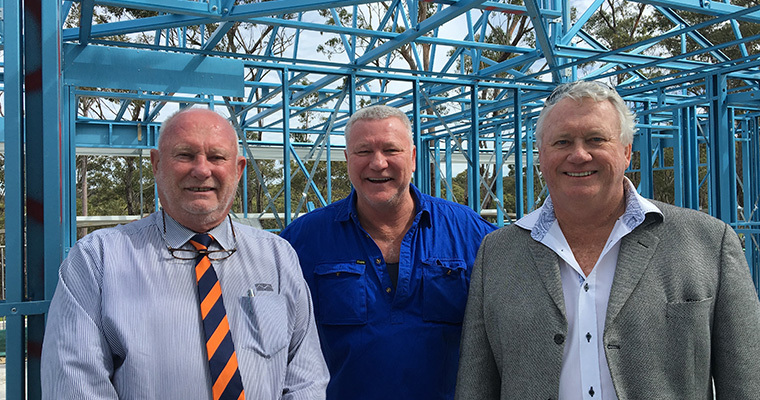 McCloy Group are no stranger to the Build For A Cure project, with Billy’s Lookout, their community in Teralba homing the 2016 Build For A Cure home. We’re excited to announce that they’re on board again for the 2018 build, donating land in the impressively spacious The Bower, Medowie! We have a reputation that we complete what we do; that we’re in there for the long haul – that’s our philosophy. The McCloy Group is a family-owned Hunter-based property group with a diversified portfolio of commercial and residential assets. Our portfolio currently holds more than 10,000m2 of commercial office space in the heart of Newcastle’s CBD, attracting long-term, quality tenants. The McCloy Group is staging construction of more than 5,000 residential homesites geographically spread in the Hunter and New England regions. The McCloy Group create national award winning master-planned communities and have a passion for developing quality and sustainable environments. We establish a trusted presence within each individual community creating places in which people love to live. The company values community focused living where people feel safe and secure in friendly neighbourhoods. Our philosophy is to build communities not subdivisions. Our communities are mostly owner occupied and buyers express confidence in our projects and the capital growth they provide. Many people buy their family home in our communities and stay within the community when it’s time to upsize. McCloy Group place a strong emphasis on creating exceptional living environments with vibrant public art and aesthetically serene streetscapes. We build children’s playgrounds, cycleways, plant mature street trees and place a strong emphasis on open spaces such as the 70 hectares of land retained at The Bower as State Conservation area and open space. Public art is a key element of the cultural foundation of a community and it has been developed at suburb entry points and throughout the community. McCloy Group also have interests in leisure and hospitality ventures as well as retirement living opportunities.